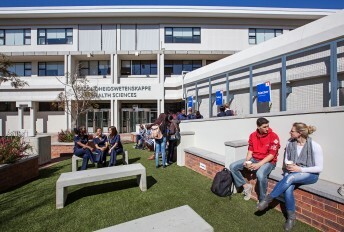 The School of Medicine at University of Pretoria started out as the Faculty of Medicine in 1943. The first class comprised of 57 students. Over the years class sizes increased and departments of allied health care were added to the Faculty. With the formation of the Faculty of Health Sciences in 1999 the School of Medicine was established as one of four Schools in the Faculty, the others being Schools of Dentistry, Health Care Sciences and Health Systems & Public Health. Postgraduate Diplomas are also offered in Family Medicine and in General Ultrasound.